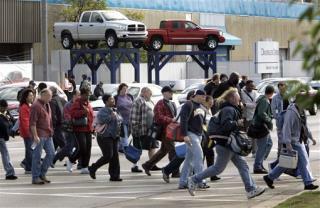 (Newser) – The auto industry has driven Michigan’s economy since Henry Ford set up shop, but not all residents are sympathetic to Detroit’s plight, the New York Times reports. Unemployment runs high, and some wonder where the rescue was when their livelihoods were on the line. “The car companies saw the banks getting a bailout and said, ‘Oh, let’s go!’” one resident grumbles. I agree with that one resident. Detroit auto makers saw the giveaway and they wanted a piece. They weren't crying until the bailout occurred.